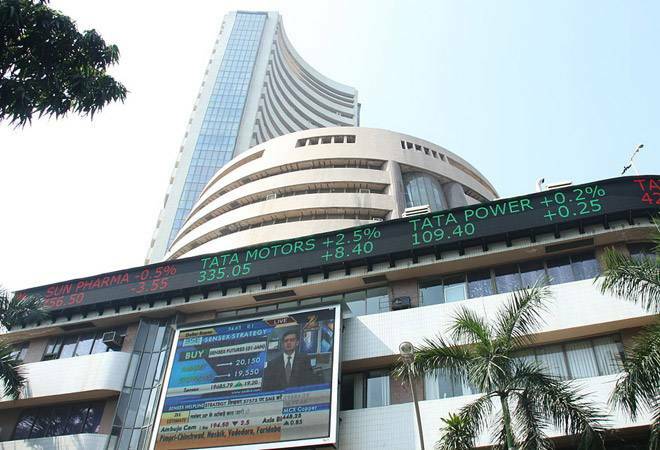 While the Sensex rose 130 points to 36,476, Nifty gained 37 points to 10,945. Top Sensex gainers were Asian Paints (1.81%) ITC (1.53%) and Maruti Suzuki (1.18%). The Sensex and Nifty were trading higher in early trade today amid falling crude oil prices, higher rupee and mixed Asian markets ahead of Federal Reserve's interest rate decision. While the Sensex rose 130 points to 36,476, Nifty gained 37 points to 10,945. Top Sensex gainers were Asian Paints (1.81%) ITC (1.53%) and Maruti Suzuki (1.18%). Infosys (1.06%), Vedanta (0.89%) and TCS (0.74%) were the top Sensex losers. Top sectoral gainers were oil and gas stocks with the BSE oil and gas index rising 1%, BSE FMCG (0.99%) and BSE bankex index (0.33%). Bank Nifty gained 114 points to 27,291. Meanwhile, the mid cap and small cap indices were trading 0.63% and 0.62% higher in early trade. Market breadth was positive with 1098 stocks trading higher compared to 420 falling on the BSE. The Indian rupee rose in early trade as softening crude prices eased concerns over India's current account deficit expansion. The currency which rallied by a huge 112 paise against the US dollar started the day with a gain of 45 paise in trade today as Brent crude, used to price international oils, sank 5.6 percent to $56.26 a barrel in London. The rupee rose above the key 70 mark to trade at 69.86 level against the dollar in early trade. On a net basis, foreign portfolio investors (FPIs) bought shares worth Rs 144.76 crore on Tuesday, while domestic institutional investors (DIIs) were net sellers to the tune of Rs 182.6 crore, provisional data available with BSE showed. Japan's Nikkei 225 index fell 0.4 percent to 21,025.10 while South Korea's Kospi rose 0.6 percent to 2,074.38. Hong Kong's Hang Seng was 0.1 percent higher at 25,835.66. The Shanghai Composite index shed 0.3 percent to 2,567.93. Australia's S&P ASX 200 gave up 0.5 percent to 5,560.30. Shares were higher in Taiwan and Southeast Asia. Most US indexes broke a two-day losing streak as technology and consumer-focused companies climbed. Energy stocks plummeted along with crude oil, which reached its lowest price since August 2017. The broad S&P 500 index added 0.22 points to 2,546.16. The Dow Jones Industrial Average gained 0.4 percent to 23,675.64 and the Nasdaq composite was up 0.4 percent at 6,783.91. The Russell 2000 index of smaller company stocks lost 0.1 percent to 1,377.18. The index is 21 percent off its peak set in August, past a level the Wall Street terms a "bear market."